​Area carpets are extremely important when it comes to bringing the look of a room together and we at Oriental Rug Pros understand that. They add to the aesthetic appeal of any home with minimal effort – if you own a pricey mahogany coffee table that you want to be the center of attention when someone walks into its room, the best solution is to place it on a fine area carpet and see the magic happen. 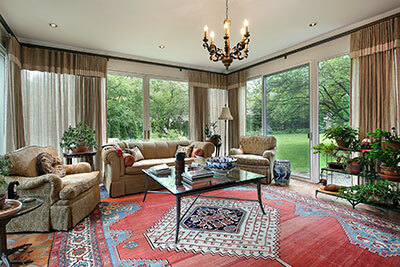 What a lot of people often overlook, however, is that regular and Oriental carpets are very different. This is the very reason why their use and cleaning processes vary. We don't need to tell you that most owners of these carpets will be more comfortable if placing a lightweight lamp on an expensive area carpet as opposed to placing a heavy table on it. In line with their use, their construction also differs – area carpets are often made from delicate fancy fabrics with a sole focus on aesthetics, which is why their care should be left to professionals with a gentle and specialized touch. You may have heard that the easiest way to clean a carpet is to vacuum it, but there are certain things to consider. A vacuum cleaner that runs on more energy is ideal because it greatly increases the vacuuming power, yet these are rarely available to the average home owner. Moreover, there are quite a few nozzles to pick and choose from based on the rug, especially on professional vacuuming and we, unlike most cleaning companies, know the specific usage of each. 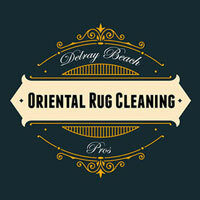 When choosing a carpet cleaning solution for your area rug, we are highly specific. It may sound wonderful when you purchase a solution that says it can treat all sorts of stains on your carpet, but this rarely works out in a way that isn't detrimental for your expensive possession. Before cleaning, we thoroughly consider the type of staining that might need to be treated – for example, if there is a blood stain on your fine area carpet, we might need to use a cleaner with a percentage of hydrogen peroxide in it, yet picking one that is guaranteed to preserve your carpet's oft-rare fabric is something that only true experts can do. Another mistake home owners make and other cleaning companies make is that once the washing process of a fine carpet is complete, they soak it in water instead of rinsing, which is a very bad idea for various reasons. First, it might leave your carpet with a permanent smell that just won’t go away – furthermore, when soaked in water, the growth of mold and mildew inside a carpet is greatly enhanced a deal, and drying the carpet without shrinkage becomes difficult. Instead, we follow up our hand washing with a gentle rinsing before drying your area carpet using one of the many customized drying methods we have at our disposal, making the piece seem as good as new every time. Whether used for decorative purposes on the floor or on the wall, or as a highly-stylistic way to cover up an empty area in your home, Oriental area carpets are an essential element of any interior space they're in. Regardless of their position, however, area carpets are subject to an accumulation of dirt, dust or both and require regular cleaning and maintenance no matter how clean they may appear to be on the outside. Trust us when we tell you that even expensive looked-after area carpets can quickly become the hub of unseen dirt and germs, especially if the household houses pets as well. One may regularly vacuum the carpet to remove some amount of dirt and dry particles. You can even apply detergents or use a small wet mop to wipe off a smaller stain. However, vacuuming with commercial machinery only does so much and rigorous rubbing to get the stain off may harm the carpet in an irreparable way. Either way, your options are limited – when it comes to precious Oriental and hand knotted rugs, they need the best professional treatment available or else they might lose their beauty. This is where we come in. We provide market-leading services for high-end area carpets of any variety. 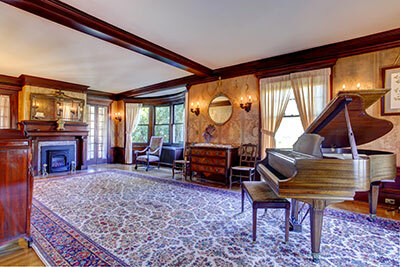 We are passionate about preserving antique carpets and aim to restore them back to their original state through professional removal of any bad odors and stains that your carpet may have suffered over time. Handmade area carpets require personalized attention, for which we have trained experts who not only deal clean your expensive belonging but also fix any worn out edges that might be giving your area carpet an old and frayed look.